"This is a Guest post from the Profitable Productive Blogging Blog or also known as Cmansmoneypages.blogspot.com As I pointed out in a previous post, I have limited Internet access which in turn limits my time for posting, reading and, just being productive all together. Ironically enough Cman decided to give me some material explaining ways to beat blog fatigue. When I regain full access I will definitely put these tips into affect." There you go! Now go break of your slump and get back into your blogging groove. Do one of these suggestions each day for 5 days and I am sure it will help. This article is the third installment in Cman's "5 Easy Steps" series. Read the other great articles Feed Failure in 5 Easy Steps and Feed Success in 5 Easy Steps. I have been gone for a little while now because I'm just coming home. Things are a little crazy and I don't have regular Internet access right now. I had a few things in the works before all this but did not have the time to finish them. I will return very soon with my regular posting. Until then this blog may seem a little dry but, remember the beauty of making money online is that you don't have to be here to keep making money. I foresee myself being set up and ready to go by the beginning of next month. I'll see everyone around and thanks for stopping by. Trying to blog while in the busiest of conditions can be tough. As of late I have been having trouble getting the chance to post any articles for my blog and most important my readers. It can be hard at times to keep a blog in tip top shape. You need to constantly improve your blog or else it does nothing for you and you end up making no money online. Here are a few struggles I have been having lately and what I could have done to prevent this from happening to me. 1. No Time-Lately I have been very busy at work which leaves with hardly any time to use a computer. 2. Waisting Time-When I finally get a chance to sit down, I usally kill time by reading other blogs. 3. Writers Block-When it come time for me to write something I have trouble getting it out because I'm usally exhausted from the days work. These are some things I should have done to counter my problems before they came about. 1. Plan Ahead-I should have planned ahead of time. Writing future posts for the time I knew I would be busy. 2. Work for me-I should have been working on my blog instead of browsing the internet when I had some down time. Basically if I would have planned a little further in advance I wouldn't be in this jam I'm in now. So plan ahead and your posts will not be far and few between. Having someone to help you is another good idea. Wether it be a friend, spouse, or a internet partner. I wrote a post on this earlier entitled Blogging with Partners. Well I hope all of you can learn from my mistakes and I know many bloggers have this happen to them and it will proboly continue to happen. One awesome thing about the blogsphere is everybody loves to have contests to draw visitors into their blog. A lot of people offer junk prizes that they got for free them selves. Well My favorite prize is some cash and I must say this is the biggest cash prize I've seen yet. How about that for making some money online. Show me the money! Do you want to enter? Well hurry the winner will be announced on the 20th of August. I set up an Advertising page on my blog the other day. I know some of you may think it's too early to get sponsors on such a young blog. Well I'm doing it anyway. No harm, No foul. This is one of the best ways to make money online once you have a well known site. 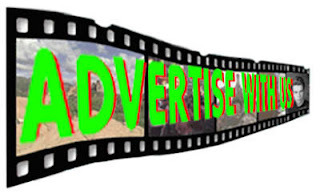 Advertisers put their links or banners on your site and you get paid. You can use sites like Text Link Ads to sell the spots on your site. I'm cutting out the middle man so my rates are extremely low. If you would like to see some stats and figures go to my Advertisement page. If you would like to take advantage of one of these limited time offers just drop me a line. I do not work with anyone on my blog but, many people do have partners. I personally think it's a fantastic idea. This gives you two opinions on your posts, blog, and direction. Two heads are better than one. Having someone just to help can cut down on the amount of time you spend online. You could have a girlfriend or spouse just comment on other blogs for you or submit your blog to directories. While he or she works on your promotion and back links you can worry about quality content for you articles. Also a partner can proof read you articles for spelling, grammar or, just any improvements all over. It would be nice to have someone who could also write posts. This could dramatically improve the quality of your blog because you now have two views expressed on your blog and twice as many posts. Well what about the money? I guess if it was a girlfriend or something you could work something out between the two of you. If it's an Internet partner I would suggest working out all the details beforehand. Some things you might want to discuss is money, ownership and, work. You will probably want to split the profits 50/50 but that could be a problem depending on who believes they have done more. Ownership of the site is another thing. If one wanted to leave, who gets the site? The amount of work should be outlined to. How much is to be expected out of the individuals. These are all things to consider when picking up a full time partner. All this planning is probably why a lot of people don't blog in teams or with partners. Most blogs will occasionally have guest posts which sometime benefits both blogs if the traffic is right. Having a guest post doesn't make you partners. It's more just like a back link than anything else. I believe having a blogging partner would be great if you could find someone dedicated and trustworthy. Also they would have to be like minded and headed in the same direction as you. I would like to have a partner to blog with because it would relieve some pressure but it might also add a little. I would be pressured to make posts and make them better as to not let partner down. I think that's a good thing though. Well that's my opinion on blogging with partners. hope you all enjoyed it. If anyone has any experience with blogging in a team or having a partner, please share your experience.